Sushi and Sashimi, many thinks they are the same thing or at least very similar. This is not generally the case at all! Sushi is not raw fish. It is vinegared rice that is mixed with other ingredients that can contain raw fish, but many times does not. Sashimi is thinly sliced raw meat that is served without rice. Sashimi is usually fish such as tuna or salmon. usually very safe to eat, pregnant women and anyone with a compromised immune system should not eat the dish if raw meat is present. usually safe when it is fish, red raw meat or raw chicken is obviously not as safe, pregnant women and anyone with a compromised immune system should not eat it. 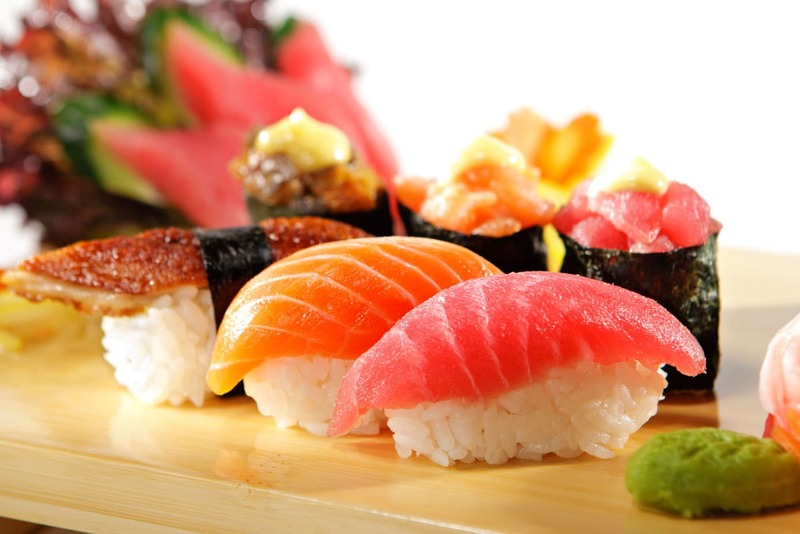 Sushi contains rice and does have more calories and carbohydrates than sashimi. Sushi is also high in omega-3 fatty acids because of the fish it contains. The nutritional value of sashimi will vary depending on the type of fish or meat that is used. The fish or meat is always raw. 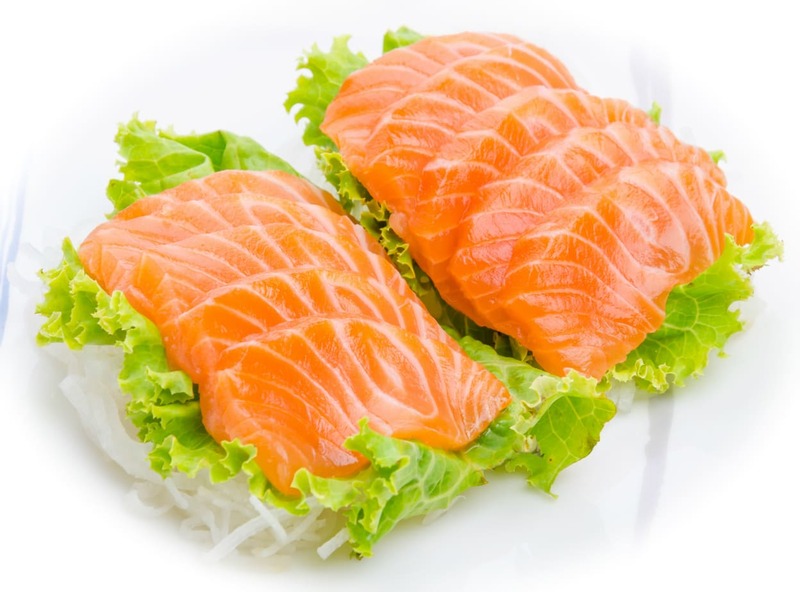 Sashimi that is fish based will be high in omega-3 fatty acids. Sushi is usually very safe to eat. Pregnant women and anyone with a compromised immune system should not eat the dish if raw meat is present. To be safe, these people should avoid the dish completely. Sashimi is usually safe when it is fish, red raw meat or raw chicken is obviously not as safe. Pregnant women and anyone with a compromised immune system should not eat sashimi. Sushi comes in different varieties including Nigiri, gunkan, temaki and norimaki. Sashimi also comes in different varieties including tuna, salmon, mackerel, yellowtail, squid, sea bream, octopus, shrimp, scallops, clams, various raw red meats including the horse. 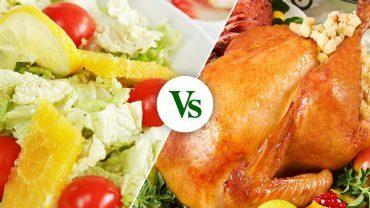 Vegetarian Vs. Vegan– What Are The Differences? Chow Mein Vs. Lo Mein – What Are The Differences? Mezcal Vs. Tequila: What Are The Main Differences?